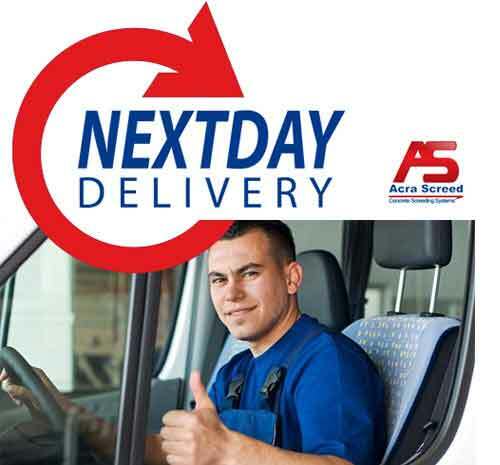 Acra Screed the most precise concrete screed rail system in the world. Outstanding Accuracy - Acra Screed can be set to within half a millimetre of accuracy and is used for many high tolerance floors. Acra Screed is not limited to level floors - the system also caters for multiple cross floor slabs. 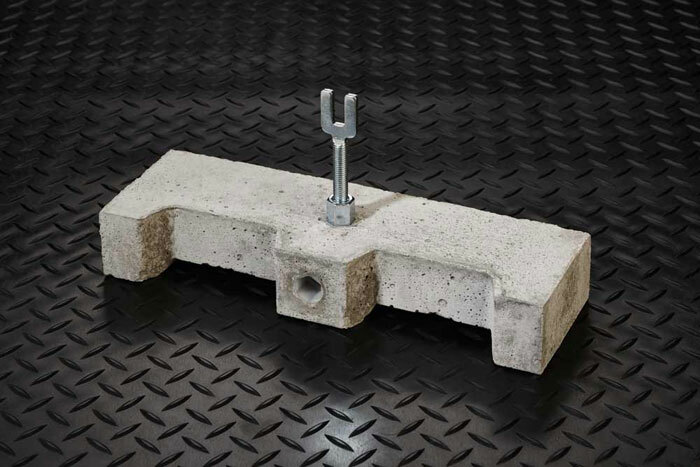 The Acra Screed base block system gives two products in one by acting as the screed rail foundation and the bottom reinforcement bar support. 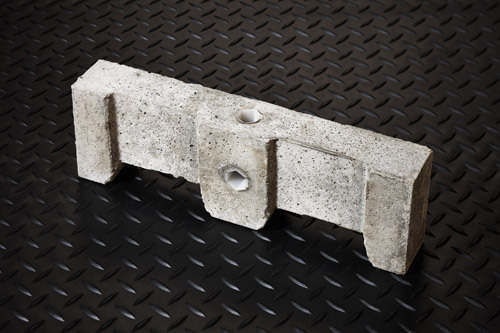 By turning the base block at 90 degree intervals the same block allows for four separate steel cover heights of 40mm, 50mm, 75mm and 100mm. 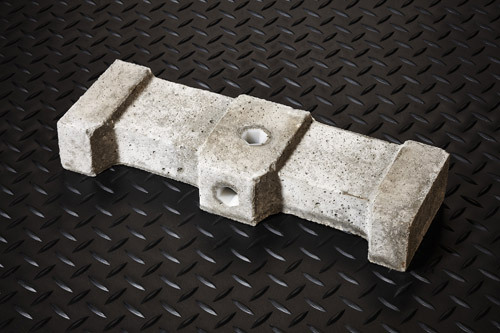 With the bottom layer of reinforcement sat on top of the Base Block - the system is extremely strong and stable. 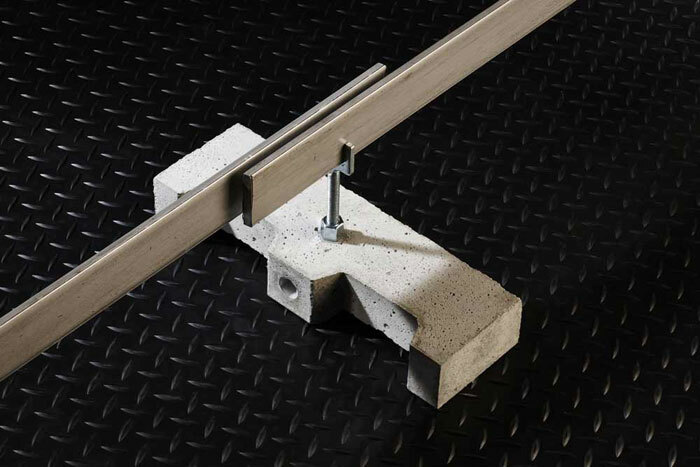 The Acra Screed video demonstrates this perfectly by showing concrete been pumped directly against the rail. 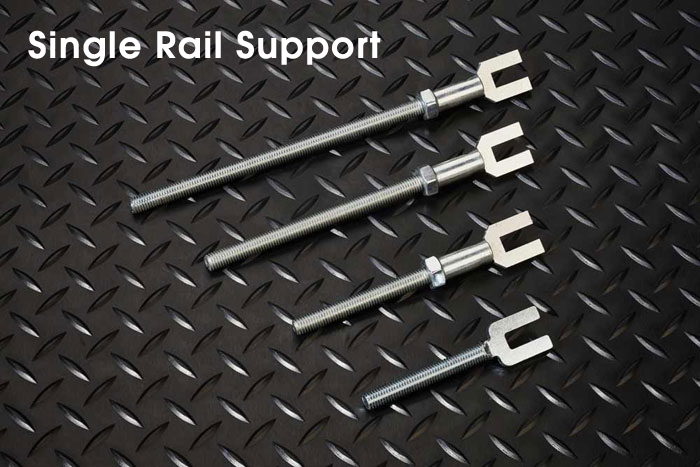 The rail supports are available in various lengths and in the majority of cases there is 50 millimetres of adjustment - 25mm either side of datum. 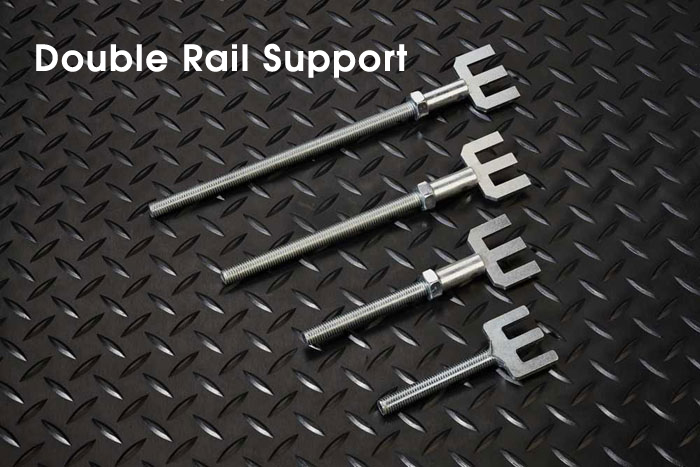 The rail supports are available in 2 types; the single rail support (used to hold a single rail), and the double rail support (used to hold the end of each rail where one rail ends and the next rail begins) - A standard rail is 6 meters long. 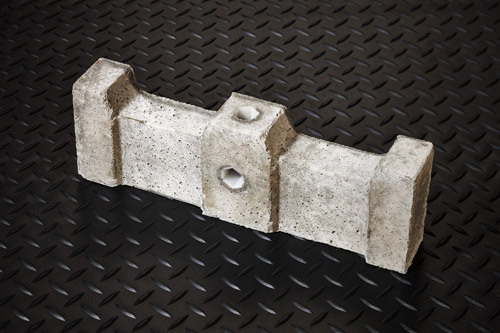 The concrete depth of the base block system has been used in ranges of 90mm up to 1.6 meters. 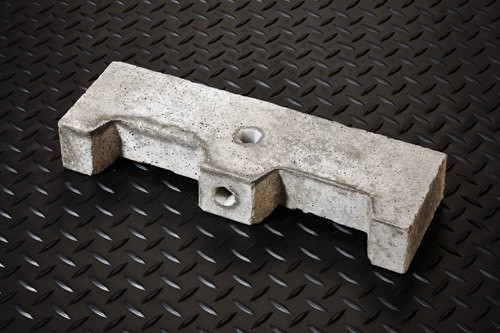 Standard stock covers slab depths up to 300mm while requirements for deeper slabs are made to order, with fast turn around available. We work with three different sized rails for the top of the Screed Rail: 50x8mm, 40x8mm and 30x12mm (for shallow top cover) all of which come in 6 meter lengths but can easily be cut to suit if required. The rails are taken out of the concrete after it has been levelled, this allows them to be reused in other concrete pours. One Base Block Four Cover Heights.